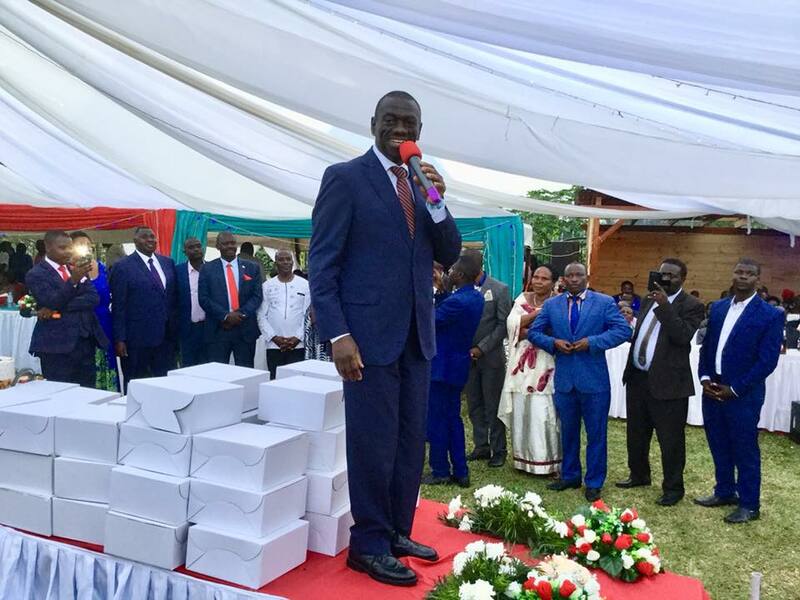 RUKUNGIRI – Opposition lynchpin Dr Kizza Besigye and Maj Gen Mugisha Muntu shared a table on Saturday at the wedding reception of Patrick Batuma, an FDC mobiliser for Kigezi sub-region in Rukungiri Town. Batuma, a renowned businessman in Rukungiri town, wed his longtime fiancé Constance. Formation, a political grouping that intends to metamorphose into a party by the end of the year. For many who were expected to see any form of hostility or bad blood between the two leaders were, however, disappointed as the two shook hands and focused on the wedding function. When given the microphone, Dr Besigye chose to concentrate on praising Batuma over his achievements for FDC and nothing else politically connected to Gen Muntu. Dr Besigye praised Batuma for giving up all his businesses to work for FDC. His support for change dates back to Reform Agenda days. He invests personal resources and finances into the struggle. 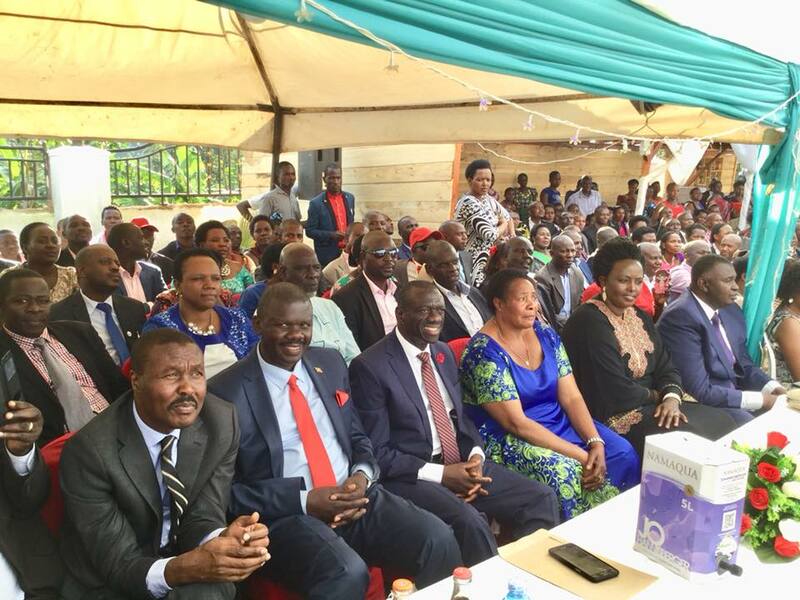 Rukungiri FDC MPs, the district leadership and western Uganda FDC leaders attended the reception. Since Gen Muntu left the FDC, Dr Besigye has not come to condemn the move by his former colleague, with whom they fought in the Bush War. Gen Muntu said he was leaving FDC because his ideology of building party structures did not match with the party’s defiance strategy. Both Dr Besigye and Gen Muntu of late intensified their public meetings and visits to different groups across the country. On Friday, Gen Muntu addressed student leaders from across the country at an inter-university Guild Leadership Dialogue organised by Nkumba Guild Government under the theme, “Honoring the Past, Treasuring the Present, and Shaping the Future”. “At least there is a general consensus on things we want to see in our country; justice, equality before the law, ensuring that opportunities are equitably shared, democracy, accountability. Start practising these today. Link up with colleagues that think like you and build a critical mass to outweigh the wrong characters. Do you want to measure your character? Just think of what you would do if a big bribe is presented on your table, think of the quality of work you would deliver when given a public-good contract. The answers to these questions project the kind of future you will create,” Gen Muntu told students. “Join political parties and influence the character of those parties. Join New Formation, Join People Power, join FDC, DP, UPC, Jeema because the more we have committed people of character joining politics and influencing these organisations, the better the country,” he added.